In light of the latest brouhaha over the Instagram Terms of Service, this might be a good time for you to back up all your Instagram photos. Just to be safe, you know! 2 – a way to auto-backup all your future Instagram pictures as well. 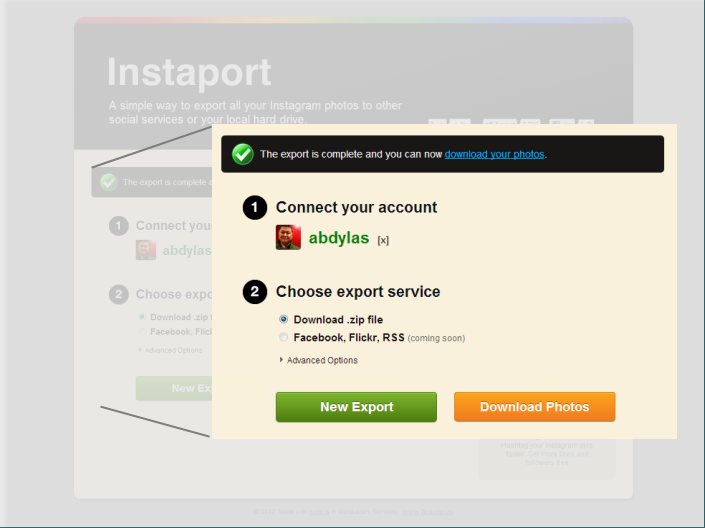 Instaport is a great way to backup all your existing Instagram photos. It’s very simple to use, all you need to do is to connect using your instagram login and all your Instagram pictures will be zipped and ready for you to download. 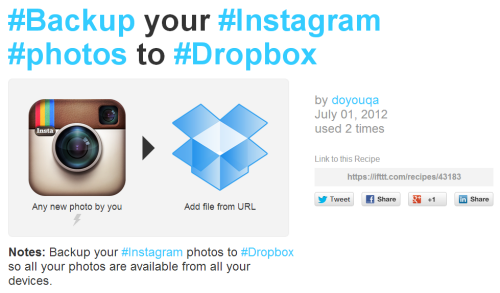 Using two great tools, IFTTT and Dropbox, you can auto backup all your future Instagram photos to your Dropbox as they are posted by you in your Instagram account. I have previously blogged about ifttt here. For this to work, please make sure to signup for IFTTT and Dropbox first. After which, just activate this recipe in your IFTTT account and you are done.